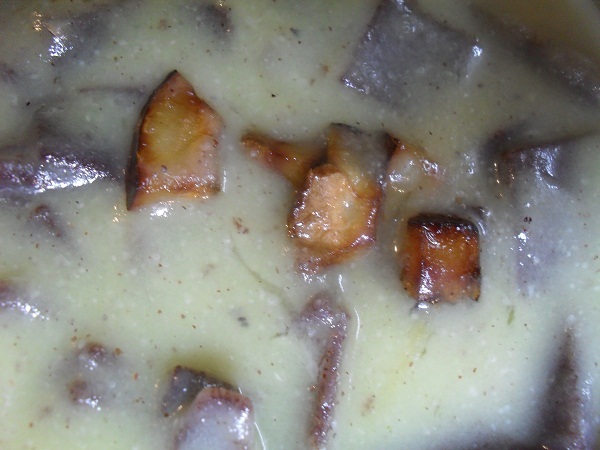 Ada Pradaman is the most favoured dessert for all auspicious occasions in Kerala. Even though other sweets are served Ada Pradaman occupies an integral position in the Onam Sadya feast. Ada pradaman with freshly prepared adas is most delicious. The first step to prepare the ada is to soak and drain the rice. Then the rice is pounded into a smooth flour. This flour is mixed with water to form a thin batter. The batter is applied on wilted and greased banana leaves , folded and then steamed. The steamed rice sheets are peeled out of the leaf and cut into small pieces to be used in the preparation of Ada Pradaman. 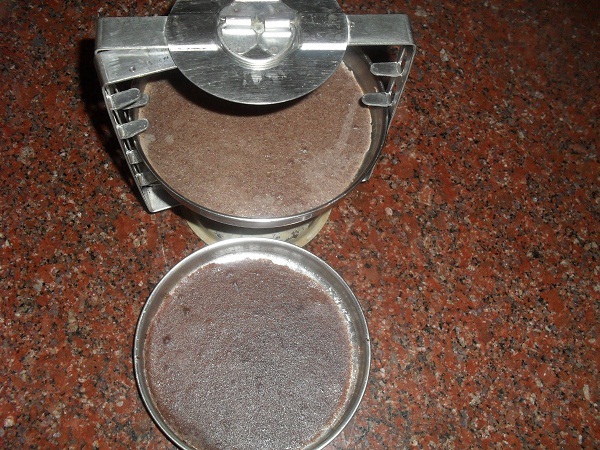 Store bought Ragi flour is good enough to prepare Ragi Adas for Pradaman. Ragi adas are steamed using idly plates instead of banana leaves. Here is Ragi Ada Pradaman knitting together the tastes of Kerala and Karnataka on the happy occasion of Onam Sadya. 1. Mix 1 tbsp of ragi flour with water adding a pinch of sugar and 1/4 tsp of ghee to make a thin and smooth batter. 2. Grease a tattae idly plate and pour the batter into it. 3. Swirl the plate so that the batter spreads evenly inside the idly plate. 4. Prepare another plate similarly using the remaining ragi flour. 5. Steam in a pressure cooker for fifteen minutes without the weight. 6. Cool the adas thoroughly. The idly plates with the adas can be refrigerated for fifteen minutes before easing them out of the plate. 7. Use a blunt knife or the back of a spoon and peel out the adas from the idly plates. Cut the ada into small pieces using a sharp knife and keep aside. 8. 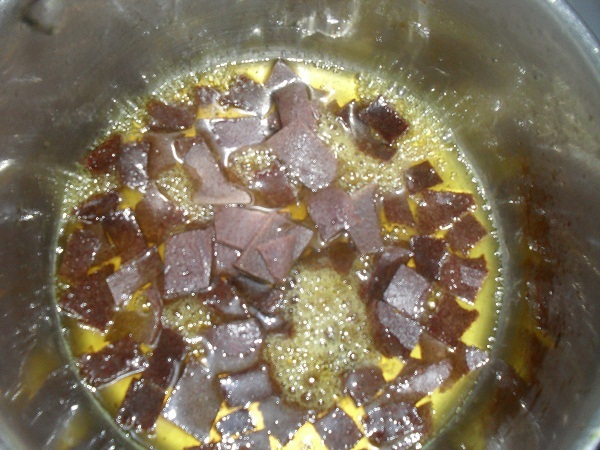 Dissolve jaggery in one cup of water and filter. 9. Add 1 tsp of ghee and boil the jaggery water in a thick bottomed vessel until it is sticky. 10. Gently add the ada pieces and cook on low flame until the syrup becomes thick. 11. Add the thick coconut milk and switch off flame when it is just about to boil. 12. Blend in the cardamom powder. 13. 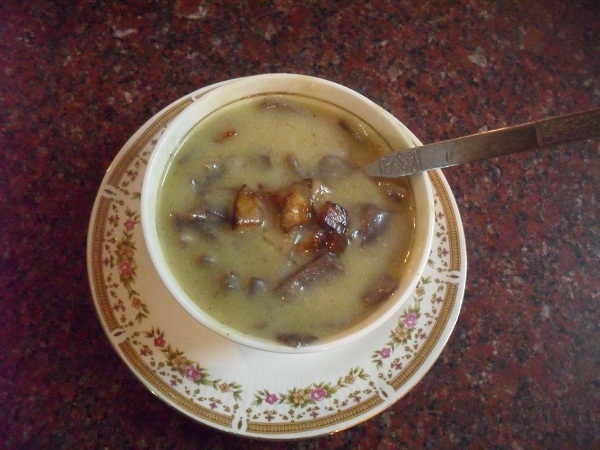 Fry the copra pieces in the remaining ghee and pour it over the Ragi Ada Pradaman. Enjoy the flavoursome Ragi Ada Pradamn either warm or cold. 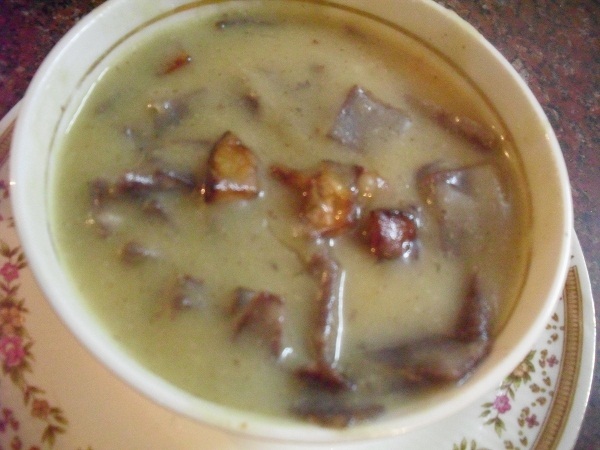 Milk is used instead of coconut milk to prepare Paal Ragi Ada Pradaman. 1. Boil four cups of milk until it becomes thick and flavoursome. 2.Add a paste made of 1/2 tsp of rice flour and little water to the boiling milk and continue to boil for one more minute. This step prevents the milk from curdling when it is added to the jaggery syrup. 3.Keep the milk aside . Let the adas cook in the syrup till the syrup becomes thick. Gently pour the thickened milk into the syrup and cook for two more minutes and switch off flame. 4. Add cardamom powder and top with cashew nuts and raisins fried in ghee or chopped copra fried in ghee. Enjoy the Paal Ragi Ada Pradaman either warm or cold. 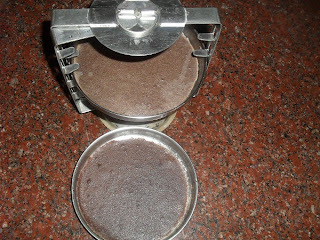 Nice idea to make ragi ada! Healthier way! Nice variation to the traditional adai made with rice.